 A nasty, arch and occasionally funny novel about cockroaches- -first fiction from Weiss, author of nonfiction books 100% American and The Great Divide (not reviewed). In an unnamed city (seems like New York), Ira Fishblatt, a bleeding-heart liberal Legal Aid lawyer, is rejected by his live-in lover, The Gypsy. This is much to the dismay of the other inhabitants of Ira's place: hundreds of cockroaches with names like Bismarck, Rosa Luxemburg, and Julia Child (they were born in bookshelves), who enjoyed The Gypsy's messiness and food-throwing. After a brief despondent period, Ira meets the overweight, matronly Ruth Grubstein. Cosseted into the role of good Jewish boy, Ira goes to such lengths to please Ruth that he renovates the kitchen, forcing the kibitzing circle of Blattelae Germanicae out of their homes. 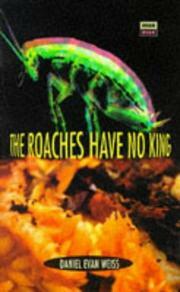 The roaches, led by their ringleader Numbers, who's also the book's narrator, swear vengeance. They disrupt a dinner party of Ira and Ruth and their neighbors, the Wainscotts, by causing a blackout that, in a good bit of screwball writing, forces Ira and Elizabeth Wainscott into close quarters in the dark. But Plan A fails, and thus begins Numbers's long journey of the soul to find a more effective revenge on humankind. What follows are comically gruesome scenes described from Numbers's roachy point of view: from toilets, in Ira and Ruth's bed, in the hair of a coke dealer named Rufus, in the sewer system. Weiss's broad ethnic comedy--in dialogue between Jewish Ira, black Rufus, and old-money racist Wainscott--is bracing at first, then flattens. A well-modulated comic novel (one hesitates to say ``picaresque''), only for those with really, really wicked sensibilities.